Paul di Resta is considering Formula E among his potential future career options, with Mercedes pulling out of DTM at the end of 2018. Paul di Resta says he is considering Formula E as he explores his future career options, ahead of Mercedes’ departure from the DTM championship at the end of 2018. The German manufacturer has formed a key part of DTM since 2000 but is to quit the series at the end of the current season in order to focus on its planned Formula E entry in 2019. 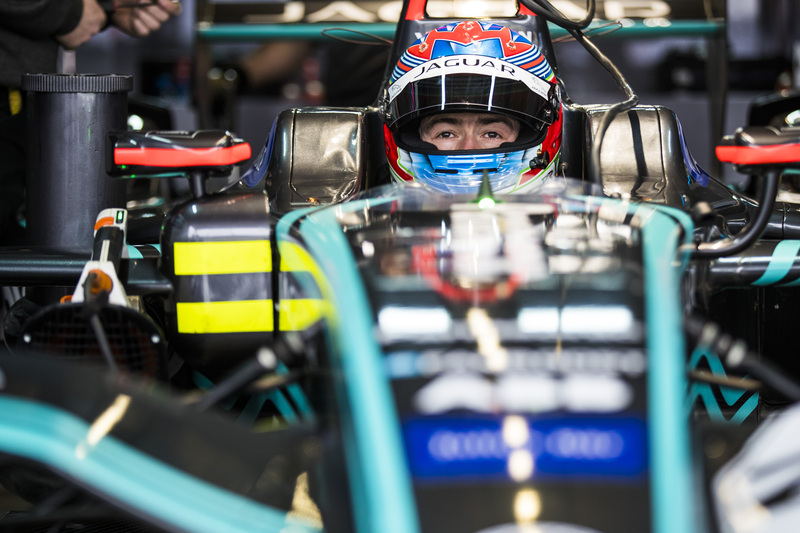 Ex-Formula 1 driver di Resta - who has taken one victory and sits second in the DTM standings behind Gary Paffett - topped a session in the Formula E rookie test in Marrakesh on his debut outing with Jaguar at the start of this year and is open to a full-time switch. “I’m looking at Formula E definitely, it would be wrong not to,” di Resta told Crash.net. “I drove the cars at Marrakesh at the beginning of the year and it opened my eyes to it. “It was very cockpit heavy which I think helps me because I’m a bit of a thinker and you get different styles of driver and I enjoyed it. “When you see the racing, it’s exciting, there’s the new generation of car coming but it’s not easy just to jump around. When asked if he had held any talks with teams about a drive next season, di Resta replied: “Of course I’ve been speaking to them. I’m not going to name any teams but quietly in the background we are doing our homework. The main thing is ensuring I’ve got a job for next year. “I’m definitely going to be continuing racing, I’m only 32 so I’ve got plenty of life left in me,” he added. “I enjoy doing my [Sky Sports F1] TV work, it’s very much future-proofing myself, seeing the other side of the media, keeping myself around the Formula 1 paddock but driving is what I want to do. Only 2017-2018 teams’ champions Audi Sport ABT Schaeffler and Jaguar Racing have confirmed their driver line-ups for next season, while new Venturi customer entry HWA could become an option for di Resta given its affiliation with Mercedes and DTM, being the team the Scot currently drives for. Another potential route into Formula E could be with the Mercedes factory squad, which will enter the all-electric series at the start of the 2019-20 campaign. “Potentially but there’s six drivers in there,” di Resta said - referring to his Mercedes DTM teammates - when pressed on the subject.